The Best Youtube Marketing blogs from thousands of top Youtube Marketing blogs in our index using search and social metrics. Data will be refreshed once a week. Youtube Marketing newsletter is a comprehensive summary of the day's most important blog posts and news articles from the best Youtube Marketing websites on the web, and delivered to your email inbox each morning. To subscribe, simply provide us with your email address. San Bruno, CA About Blog The Official YouTube Blog.YouTube provides a forum for people to connect, inform, and inspire others across the globe and acts as a distribution platform for original content creators and advertisers large and small. Facebook fans 82,852,519. Twitter followers 69,382,997. Facebook fans 167,944. Twitter followers 520,442. Utah About Blog Derral Eves is a YouTube and Video marketing consultant with a large amount of his background in social media, mobile, and video marketing. Facebook fans 16,969. Twitter followers 11,583. Canada About Blog Read posts about YouTube Marketing on the Ecommerce Marketing Blog - Ecommerce News, Online Store Tips & More by Shopify. Interact with a community of savvy online store owners. Facebook fans 2,597,532. Twitter followers 10,994. San Francisco, CA, US About Blog Read the latest writing about Youtube Marketing. Every day, thousands of voices read, write, and share important stories on Medium about Youtube Marketing. Facebook fans 287,727. Twitter followers 2,264,268. India About Blog Blogs and articles that explain how online video creators and brands can leverage YouTube Marketing and reach more people and increase audience engagement. Facebook fans 3,576. Twitter followers 1,641. Philadelphia, PA About Blog Tips to help build a successful YouTube channel and create video marketing promotions. Facebook fans 5,405. Twitter followers 16,653. Facebook fans n/a. Twitter followers 811. About Blog Business Growth Digital Marketing (BGDM) is a specialist digital marketing agency that helps small to medium sized businesses grow their leads and sales via emerging marketing channels on the internet. About Blog To serve as a resource for individuals engaged in using web video and audio-visual web content with analytics for online marketing, sales and communications. Facebook fans 230. Twitter followers 8,199. About Blog BuyViewsOnYouTube Blog. Get YouTube Marketing tips from experts here. Follow these tips and increase your YouTube presence today. 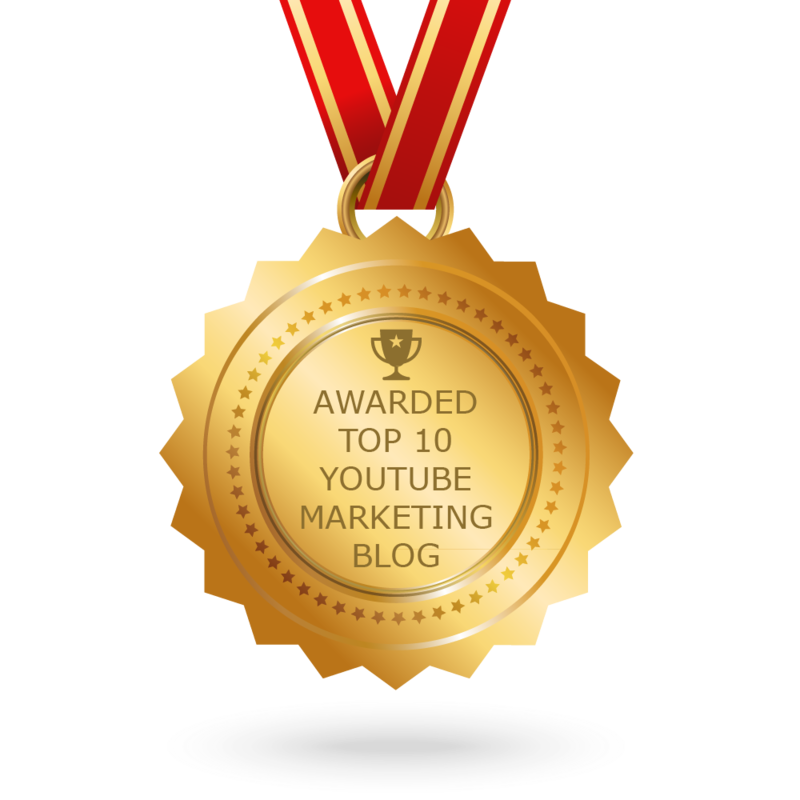 CONGRATULATIONS to every blogger that has made this Top Youtube Marketing Blogs list! This is the most comprehensive list of best Youtube Marketing blogs on the internet and I’m honoured to have you as part of this! I personally give you a high-five and want to thank you for your contribution to this world.